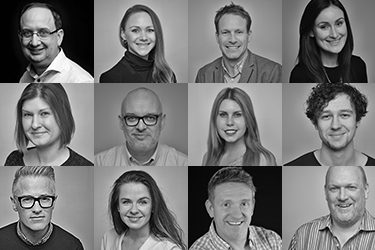 This week, Paymentsense, Europe’s largest merchant service provider, launched Plus. It's the new rewards programme providing their customers with access to a wide range of discounts and benefits, just for being a customer. Marketing, accountancy services and computer security costs are often absorbed by large department budgets in big corporates, but for many SME businesses there are no available budget pots for such essentials. These small, but vital operational costs can mount up, eat into profit margins and cause financial strain, especially in the early stages of a new business. Paymentsense recognised the need to support their customers by creating a rewards programme that not only takes some of the stress out of running a small business, but also gives their loyal customers a chance to unwind from the stresses of being a business owner. In response to customer needs, Plus includes a range of “Business Rewards” such as, 70% off QuickBooks accounting software, 50% off Kaspersky Labs security software, discounts on a range of online business courses such as Google Analytics and YouTube marketing, but it doesn’t end there. Paymentsense also appreciate that although their customers are busy, self-employed individuals, they need opportunities that allow them to switch off from being a business owner. Therefore the portal also includes a range of “Leisure Rewards” such as 2 for 1 on Great British Days Out, a free 12-month Gourmet Society membership, up to 70% off hotels and 50% off Wuaki.tv movies, to name a few. 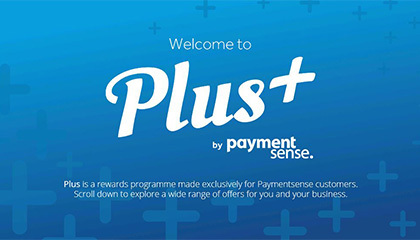 The Plus rewards programme is being facilitated by TLC Marketing UK in partnership with Paymentsense. They are currently working together on an adaptation for the Republic of Ireland. As Europe’s largest merchant service provider, Paymentsense enables over 55,000 SMEs to process over £5 billion worth of card payments each year. From contactless card machines to integrated solutions and online payment services, Paymentsense supplies small businesses with card processing solutions that allow them to take payments in store, online, over the phone and on the move. TLC Marketing Worldwide is the global leader loyalty, incentive and reward campaigns, allowing brands to outpace their competition for a fraction of the cost of price led alternatives. TLC Marketing UK are one of the few marketing service providers who feature in the 2015 and 2016 Sunday Times International Fast Track 200. In 2016 they won a number of awards for their work with Continental Tyres and Bupa and won the Queen's Award for Enterprise in International Trade. Other clients include Yakult, Elastoplast, Braun and HSBC.